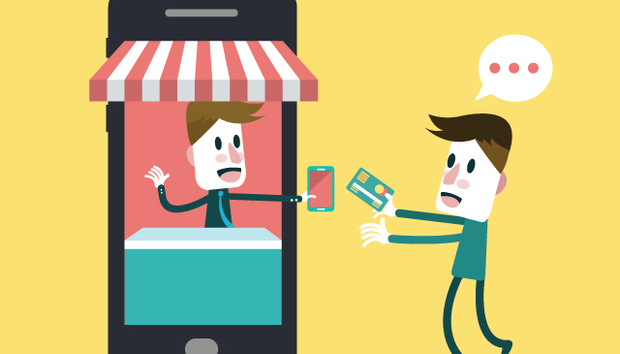 M-Commerce: When Will I Buy a Coffee With My Mobile? Who would buy a conservatory from a mobile while under the influence of Espresso Martinis? Last week on a night out at Circo Bar in the historic western English city of Bath, the founder of web design services company Zonkey, Alex Wood, did just that. As impulse buys go it’s surely up there but it’s also a credit to Amazon’s one-touch ordering button that made it so easy. An Xbox, a blues harmonica and the Battlefield 3 video game completed the evening’s purchases. While Alex’s alcohol-fuelled spending spree is perhaps not the poster case study for the mobile commerce industry, it is an example of how, with confidence and ease of use, mobiles really can become the virtual wallet, even the ubiquitous device that has been promised for so long. In fact, mobile commerce has been a phenomenon that has been talked up for years and this month it received a further injection from California VC Trinity Ventures, which claimed in a blog that mobile commerce will yield the next $100bn startup. Given its areas of interest, Trinity has a vested interest in saying this of course but what is clear is that mobile payments and internet-enabled commerce are in fact thriving. And yet, it doesn’t feel like it. Despite promises that we would be buying coffees, clothes, travel tickets and even groceries via our handsets by now, the reality is that, on the whole, we are not. So why not? Is it a security issue? Do we have to get tanked up on cocktails before we have enough courage to press the ‘buy’ button? So perhaps Alex could be that poster boy, after all? He scrubs up well. Hussson has a point though. Mobile is already enabling web-based commerce in many parts of the world. Take my home country: according to an IMRG Capgemini study in May 2014, mobile accounted for 34% of UK e-retail sales in Q1 this year, compared to just 1% in 2010. Yet, despite this growth, there is a new battleground emerging: one with which online retailers will be only too familiar – checkout conversion rates. Perhaps it is a sign of maturity that the mobile has reached this stage. There is an interesting conversion rate table put together by mobile commerce platform firm Mobify, which shows that mobile conversion rates are still very low despite all the optimism, with flowers and gifts showing the best rate at just 2.01%. Conservatories feature even lower. The problem, according to David Fock, VP commerce at Swedish e-commerce company Klarna, is lack of simplicity. Klarna is planning on tackling this issue. It launches in the UK this month, bringing Swedish functionality and logic to the process, a stylish simplicity that inevitably gets you thinking about Ikea. The Swedes have a habit of disruption. Its numbers are impressive too – 15 countries, 45,000 merchants, 25m consumers — but the one that catches the eye is from Klarna user Adlibris, a Swedish bookseller that claims Klarna helped increase its checkout conversion rate by 80%. Essentially, it’s about helping retailers achieve the Amazon-like one-touch ordering button. Card details don’t have to be filled out at point of purchase. All that’s needed is an email address and delivery address and then consumers can pay after delivery, a bit like how a mail-order catalogue would traditionally operate, and it seems to be working. Over the past 15 years that has been part of the m-commerce problem. Gartner analyst Adam Daum lamented in 2010 that “there is currently no industry standard for mobile payments in the UK. It is difficult to know which mobile payment system will win out.” That is still the case and perhaps we are getting too hung up on the idea that there needs to be a standard payments system. Jones, to a certain extent, agrees. That is the point. Mobile commerce will only work from country to country if it solves something local and makes purchasing or money transfer easier. Small steps, as Jones says, build confidence. Overcoming security fears as well as the well-founded belief that as soon as you open up the mobile you get a tattoo on the forehead that says, “Open for business” are key, especially with the reported growth in interest around retail beacons. Clearly, Apple sees this market as a new horizon worth investing in and that is supported by its iPhone 6 plans. The iPhone 6 is due to launch in the autumn and is rumoured to feature NFC technology, the nearest thing we have to a workable hardware standard for proximity payments via tapping or touching. It will also include Apple’s Touch ID technology, which has already been opened up to third-party app developers in readiness. What is clear is that there is plenty of buzz and Apple could do to m-commerce what it did to MP3 players and mobile interfaces. Then it is down to the app developers to drive innovation in retail, mobile payments, banking and ticketing. This is where the real value will be created, where Trinity Ventures sees the next multibillion dollar start-up. For the rest of us that should mean we get to buy coffees and sandwiches via our phones in the not too distant future, without having to stretch and reach into our wallets for cards and cash — one more reason to go to the gym, to look after your phone and get some decent insurance.